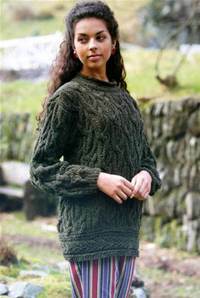 Womens knitting patterns for fashion and pattern specific knitting yarns such as Mohair and others that don't fit into standard yarn weights eg eyelash and chenille (comparable to aran weight yarn). 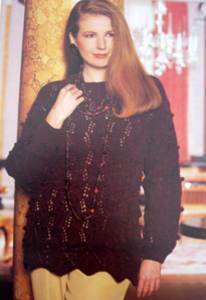 Knitting patterns inc shrugs, wraps, sweaters, cardigans, boleros, tops, ponchos and scarves from Patons, Sirdar, King Cole, James Brett, Stylecraft, Twilleys, Sublime, Wendy and more. Quick and easy tie front bolero with 3/4 sleeves, in Sirdar Firefly ladder-effect ribbon yarn, to fit 81-107cm, 32-42in. Sublime 6088. Flippy edge scarf and wrap - easy garter st triangles ith wavy edge, knitted from the long edge to point in Sublime extra fine merino lace. Sublime 6090. 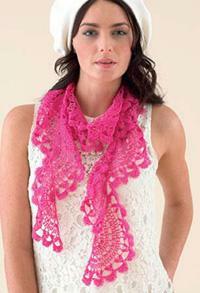 The Belissima Crochet scarf, luxuriously light and lacy scallops (22cm x 152cm) n Sublime extra fine merino lace. Drapey short-sleeve cardigan in simple 4 row repeat lace st (alt rows plain), uses just 3 or 4 balls of Sirdar Firefly. To fit 81-107cm (32-42in). 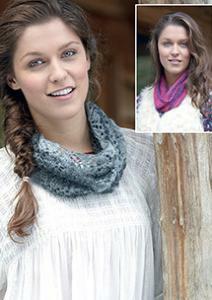 Quick and easy cowl neck tops, sleeveless or with short sleeves, using just 4 or 5 balls of Sirdar Firefly. To fit 81-107cm (32-42in). 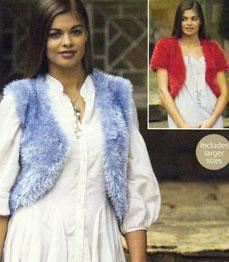 Scoop neck waistcoat in 2 lengths in Sirdar Funky Fur DK fur effect yarn with DK contrast borders. Includes larger sizes 81-137cm (323-54in). 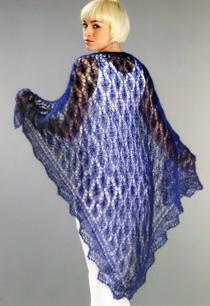 Shrug with long or elbow length sleeves in Sirdar Firefly - perfect to dress up an outfit for evening. Includes larger sizes, 81-137cm (32-54in). . Stylish long sleeved jacket or sleeveless waistcoat with collar has an interesting construction - fronts worked sideways, lower back downwards. 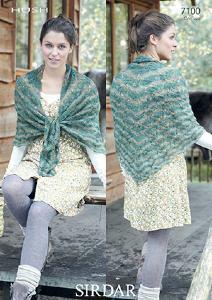 Shown in Sirdar Firefly, to fit 81-137cm (32-54in). Easy cropped tops in one colour or with contrast edging in Sirdar Firefly ribbon yarn. Includes larger sizes, 76-137cm (30-54in). Easy cardigan and waistcoat in Sirdar Babouska with fun fur collar. To fit 81-107cm (32-42in). Wendy mohair wrap cardigan in 2 lengths. Fits 81-107cm (32-42in). Knitted on 10mm needles - 9.5st/12 rows to 10cm. Patons sweater with lace and bobble design, to fit sizes 76-102cm (30-40in). 19st / 25 rows to 10cms, 4.5mm needles. Top, hat and scarf in Patons Spritz aran weight yarn to fit 81-107cm (32-42ins). Tension 19sts/25rows to 10cm on 5.5 needles. 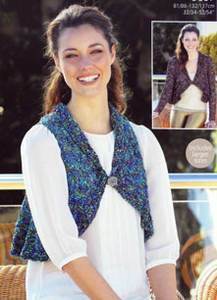 Patons easy waistcoat/vest in chunky eyelash or fur yarn - knitted in Patons Catwalk. To fit 76-102cm (30-32in). 18st/20 rows to 10cm, 5.5mm needles. Patons lace cardigan knitted in Super Chenille yarn to fit sizes 76-102cm (30-40in. 19 st / 25 rows to 10 cms, 4.5mm needles. 10-12 50g balls. Patons sweater with cables and lace border to fit 76-102cm (30-40in). 19st/ 25 rows to 10cm, 4.5mm needles. Patons oversized raglan sweaters, featuring crew or soft roll neck, designed in chenille. Tension 19st/25 rows to 10cm, 4.5mm needles. Patons top in eyelash or fur effect yarn with slash border. Knitted in Patons Catwalk, 18st/20 rows to 10cm, 5.5mm needles. To fit 76-102cm (30-40in). Patons easy cardigan/top to fit 76-102cm (30-40in). 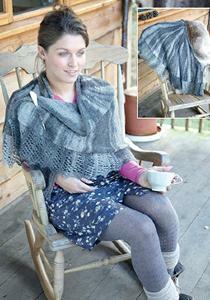 Uses Patons Catwalk fashion yarn - tension 18st/20 rows to 10cm, 5.5mm needles.